My sweet tooth is the bane of my existence. Never is my self-control at its lowest than when I’m confronted with a box of Tagalongs (or whatever they’re called these days), taunted by a dessert menu that a server nonchalantly stands up on the table with the check, or seduced by the aroma of fresh-baked anything. It’s undeniable…I love dessert. For those of you who watched MTV’s Laguna Beach (don’t be ashamed…there’s no judgment here), you might remember Casey Reinhardt from season two, a.k.a. 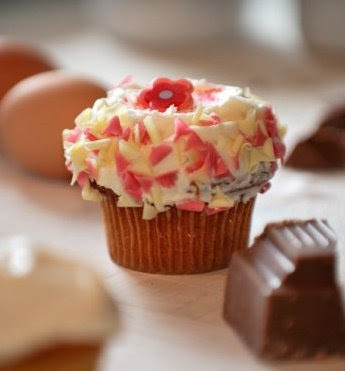 “the new girl.” Well, the ever-ambitious Casey has recently opened up her own cupcake shop in Laguna Beach. But don’t let the overly decorated cakes, pink receipt paper, and cute bows in the employees’ hair woo you—these cupcakes are good (because, like, they’re cupcakes), but they’re not delicious. And if you’re paying $3.50 for a cupcake, it’s got to be delicious. Am I right? Stick with Sprinkles. I want the best for you. To celebrate their 40th anniversary, Starbucks recently introduced a smattering of bite-size treats, including mini-cupcakes (delicious), cake pops (love! ), lemon bars (boring), and other tiny treats, all under 200 calories and $1.50 each. The fact that this stuff is so stinkin cute and easy on the waistline and wallet make them very enjoyable. I mean…pink frosted cake on a lollipop stick? I love everything about these new diminutive delights. This little French café at the Irvine Spectrum is outrageously overpriced, so sometimes I just walk in and stare at the pretty rows of macaroons and don’t buy anything (I told this to my boyfriend, and he said that was the saddest thing he’s ever heard and reminded him of A Little Princess. Haha.). 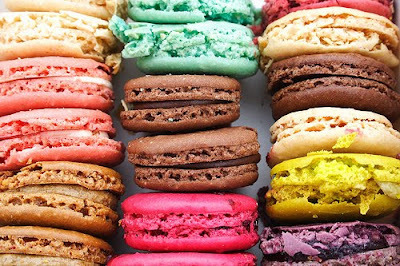 Anyway, the focus here is on the macaroons. They are incredible. They are the prettiest bright colors and perfect delicate texture. My favorite flavors are earl grey, rose, and passion fruit. Eating a rose macaroon is like eating the most perfect, delicious flower your mind could ever imagine. Their $1.95 price tag encourages you to eat them slowly and savor every crumb. I really do feel like a little princess when I eat these…they are so frivolous and French and fancy.